Jeffrey Welch's Blog: Can Dogs Cry and What Exactly Is Dog Crying? Can Dogs Cry and What Exactly Is Dog Crying? Canine communication is one of the most fascinating and confounding facets of our lives with dogs. They may not possess the means or ability to produce articulate speech, but dogs are as communicative in their way as any human, and more honest. Whether it’s body language, tail movement and position, staring, or making a wide range of vocalizations, our dogs are almost always telling us something. It seems easy to recognize when a dog is happy; but do we recognize when they are sad, grieving, or in pain with such facility? Can dogs cry and what exactly happens with dog crying? On the surface, these are simple questions, but also ones that are worth giving some serious thought to. In the absence of a universal dog translator, dog owners are left to wonder and speculate upon how to interpret dog behavior. Is it accurate to equate phenomena like whimpering, whining, or howling with human expressions like bawling or weeping? 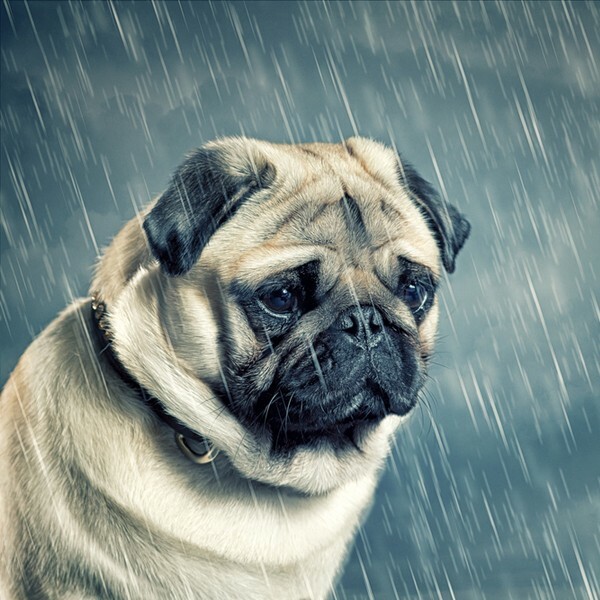 A more penetrating or precise question might be, “Can dogs cry tears like humans?” Do dogs perform and vocalize pain, loneliness or grief through their tear ducts in the same ways as their owners? This is what it sounds like when dogs cry. Photography via Pixabay. Do dogs have tear ducts? Can dogs cry emotional tears? Are whimpering, howling, or whining similar to crying? Do dogs respond to our tears? Absolutely. 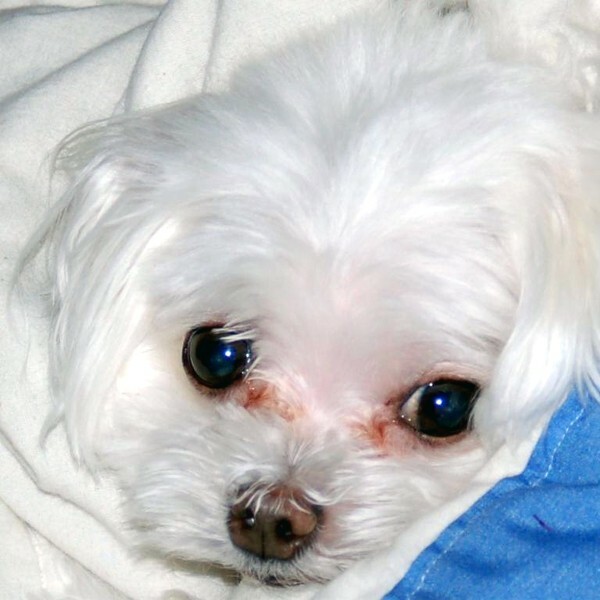 Anyone who owns a light- or white-coated dog — the Bichon-Frises, Maltese, and Poodles of the world among them— can easily attest that dogs do indeed have tear ducts. They know because the phenomenon of tear staining that develops with age is effectively written on the body. Tear staining is also known as epiphora, a condition in which dogs experience excessive tear production. For dogs whose tears are less conspicuous, what role do tear ducts and the liquids they produce serve? Practically any animal with eyes has lacrimal ducts, commonly called tear ducts. Dog eyes certainly excrete tears, and they perform the same range of practical purposes as they do in humans. There are three primary categories of tears; both human and dog eyes produce two of them: basal and reflexive. Basal tears are produced and released constantly, but very slowly. They keep the eyes moist. Reflexive tears offer ocular protection, and flow more quickly in response to the presence of irritants and allergens. These dog tears keep eyes clear of obstructions and flush away foreign objects. Having just surveyed two of the three kinds of tears, what is the third? In humans, the third major variety of tears are known as psych tears, or emotional tears. These are the very ones we’re here to investigate dog crying. Emotional tears are produced more suddenly and in greater volume that either basal or reflexive ones, and generally arise during moments of great emotion. Can dogs cry in response to emotional stimuli in the same way as we do? It’s an important distinction, and our curiosity leads us to distinguish between biological necessity, and what we might refer to as “real” tears. Epiphora is a medical condition that gives the impression that a dog is crying. Photography via Wikimedia Commons. Does dog crying ever signify distress, sympathy, or pain? The answer is complex and unsatisfactory for those of us who want to see our life experience mirrored by our dogs. In his preface to the second edition of the “Lyrical Ballads” (1801), William Wordsworth famously defined poetry as the “spontaneous overflow of powerful feelings,” which also serves as a succinct expression of how and why humans weep. Canine tear ducts do not function in this way, nor for the same reasons. While the outward manifestation of emotion we associate with crying is not found in dogs, this does not mean that dogs are stoic or unmoved. They simply experience and express those emotional states in different ways. Are whimpering, howling or whining similar dog crying? Dog vocalizations like whimpering, howling and whining are frequently linked in the popular imagination to canine emotional states. An obvious place to start is the experience and expression of pain. According to Dogster’s resident veterinarian, Dr. Eric Barchas, however, these vocal expressions, whining in particular, are not necessarily or directly related. Certainly, in the exact moment of pain — a paw stepped on by accident, for example— dogs’ instinctive reactions are similar to our own. A dog thus startled may emit a sudden yelp or yip, but won’t do it repeatedly or regularly in response to long-term or chronic pain. For dogs, barking, whining, whimpering, and howling tend to be oriented toward expressions of need or having distinct desires met. Dog vocalizations are, by and large, communicative rather than emotional. Dogs whine and whimper when they want food or exercise. They bark and howl when they sense strangers or perceive threats. There is reason to be suspicious of these vocalizations, though. Dogs learn behaviors, after all. When they discover that making certain noises yields desired results, it can become not only repetitive, but manipulative. It is safe to say that howls, whines, and whimpers are similar, but not equivalent to human crying. Human babies and children learn behaviors, too. Their cries, wails, and screams — especially noticeable and grating in public places — can be as self-serving as those of dogs, if seemingly more interminable. Because dogs don’t express grief, sorrow, longing, loss, rage or joy through their tear ducts, that doesn’t mean they are stoic or emotionless. 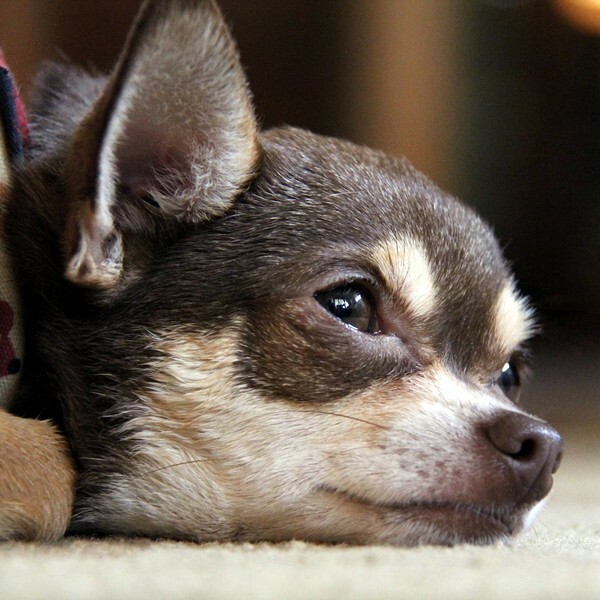 We know that dogs suffer negatively from separation anxiety, fear and stress. I can speak from personal experience that dogs do respond when their humans are in distress. What we call crying in dogs is similar, but not identical, to human tears. Photography by Shutterstock. I once incurred a pair of severe and painful injuries — a torn ACL and meniscus in my right knee — as a result of a particularly intense performance at karaoke. I managed to make it home that night, and at the very moment I opened my car door, I heard my dog make the most curious noise. It wasn’t a whimper or a whine, but a vocalization somewhere between them; it was certainly mournful and empathetic. I never heard her make a sound like it before, and I never heard it again. I knew that she knew that I was in great physical pain. Share your experiences of dog affect! Whenever I think of Tina, the memory of that sound is the first thing that rises to mind. It lasted only a few moments, very unlike the crying I did before surgery and during extensive rehab, but it was powerful and affecting. Our dogs are such huge parts of our lives. We certainly mourn them when they pass away, and their memories stay with us. Have you had experiences similar to mine, when you were just certain, no matter how brief or ephemeral, that your dogs expressed grief or concern in a way that seemed to echo human crying? Share your experiences with dog crying in the comments! The post Can Dogs Cry and What Exactly Is Dog Crying? appeared first on Dogster.